Most of us just writing the blog without concerning about whether his/her content reached someone or not. To make our content to available to someone, we must tell Google about our content by submitting our blogger sitemap in Google webmasters tool. 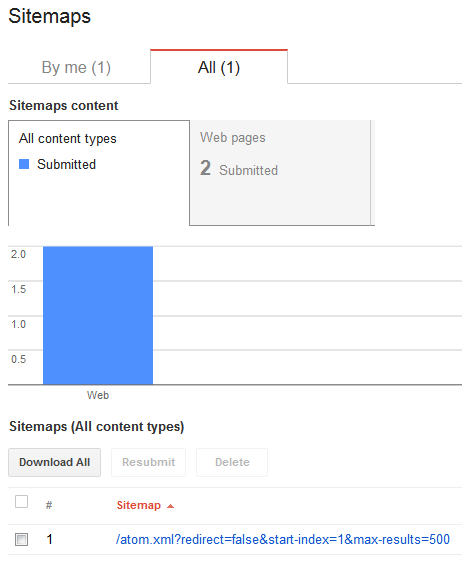 It is very very easy to submit our blogger sitemap in Google webmaster tool. 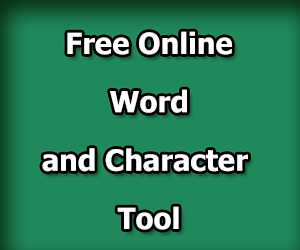 Please click on the below Google webmaster tool link. Now it will ask you login into Google webmaster tool, so please login into Google webmaster tool using your existing gmail account or create new account. Note : If you are added already your site or blogger in Google webamster tool, then skip below few steps, and continue from this Submit Blogger Sitemap to Google Webmaster Tool step. 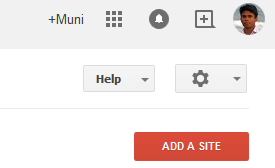 Once you logged in successfully, now it will ask you to add your site in webmaster tool. So please click on ADD A SITE button on the top right corner to continue. 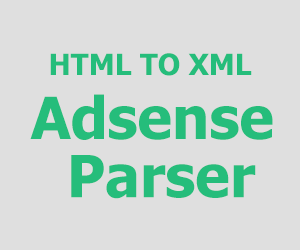 Now enter your site URL in the textbox just like in the below picture, then click on continue. It will ask you to verify the ownership of the your blogger/site, So click on the alternate method link and select HMTL TAG option. 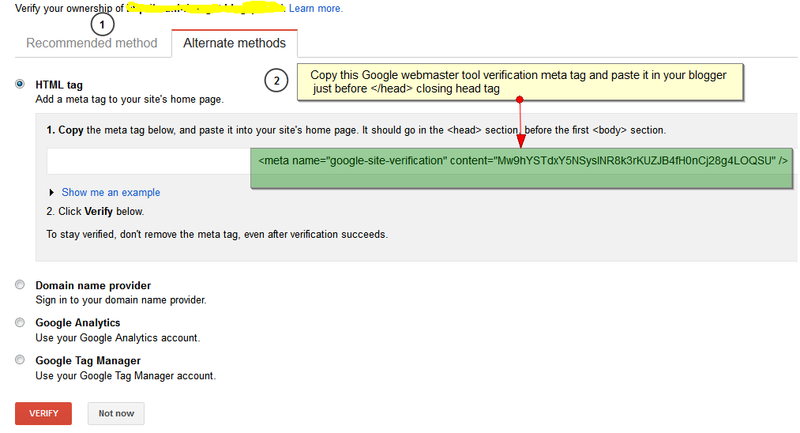 All you needed to do is just copy the Google webmaster site verification meta tag and add it to your blogger just before </head> closing head tag like in the below picture. Finally click on the SAVE TEMPLATE button to apply this change. You successfully added Google webmaster site verifcation code to your blogger. Now go to the Google webmaster and click on the VERIFY button. 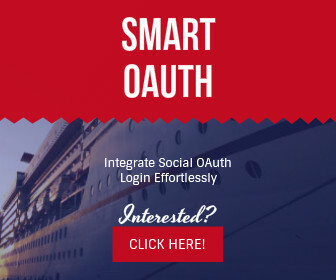 It will check and shows the success page, if you are added in right way. Now click on the webmaster tools link to go the webmaster dashboard. Now click on the No Sitemaps link on the top right corner to proceed to your sitemap submission. 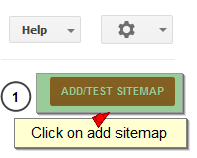 Now click ADD/TEST SITEMAP button on the top right corner to submit your sitemap. Please generate your blogger sitemap using this blogger sitemap generation tool. Now copy that generated sitemap. Now paste that copied sitemap URL in the textbox just like in the below picture. Click on the Submit Sitemap button to finish your blogger sitemap submission to Google webmaster tool. Now it will ask you to refresh the page. Now it will shows the number submit links to the Google webmaster tool.